Why Choose Auto Glass Express? Auto Glass Express has more than 20 years of experience in the auto glass repair industry and is dedicated to customer satisfaction. We offer a lifetime warranty on all our work and we are AGRSS certified by the Auto Glass Safety Council. In addition, we are approved by and work with all insurance companies, and our mobile fleet of technicians will travel to you to get the job done. 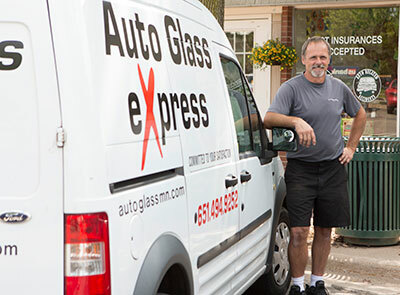 Auto Glass Express is a leader in the windshield repair and replacement industry. We excel at fixing luxury vehicle windshields, but offer our high-quality services for any make or model at the same affordable price. We are a local Twin Cities company, while other big name service companies are not. We have based in the Twin Cities for 17 years, and we have the ability to fix windshields throughout the 7 county metro area. Get the best quality windshield service and shop local. We are proud to be AGRSS certified. We are also approved by all insurance companies. You can trust Auto Glass Express. We offer same day service, help with your insurance claim, a lifetime warranty, and safe installation. Our mobile windshield service will come to your car and fix your windshield at no extra cost.